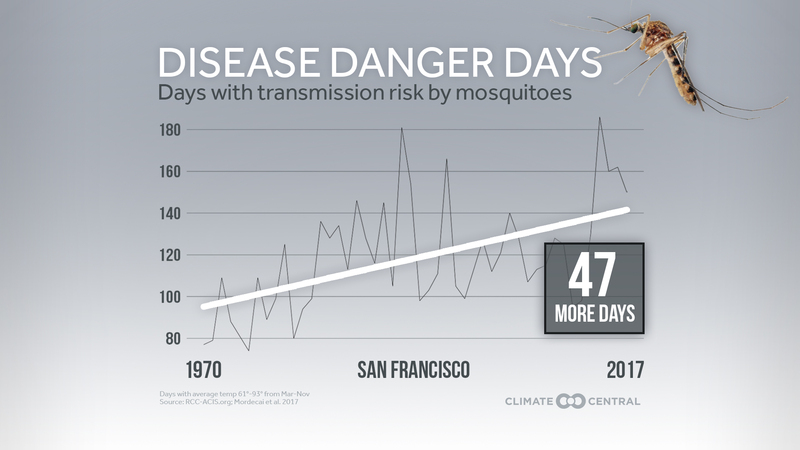 Reno leads the list of cities with additional disease danger days, averaging an additional 52 days per year in that temperature range compared to a half-century ago. The top 10 cities can be found in the report and cover a variety of climates across the U.S. For example, San Francisco, Tucson, and Erie all have more than four additional weeks each year when transmission is possible. While dengue, Zika, and West Nile viruses are still limited in the U.S., they represent significant health threats globally and could become bigger threats as temperatures climb further in a warming climate. The land area of the U.S. most suitable for Aedes albopictus mosquitoes, which carry those diseases, is projected to increase from 5 percent to 50 percent by 2100, putting 60 percent of the Northeast population at risk. Methodology: Temperature trends were calculated using average daily temperature data from the Applied Climate Information System. Years with more than 30 days of missing data were excluded from the analysis. 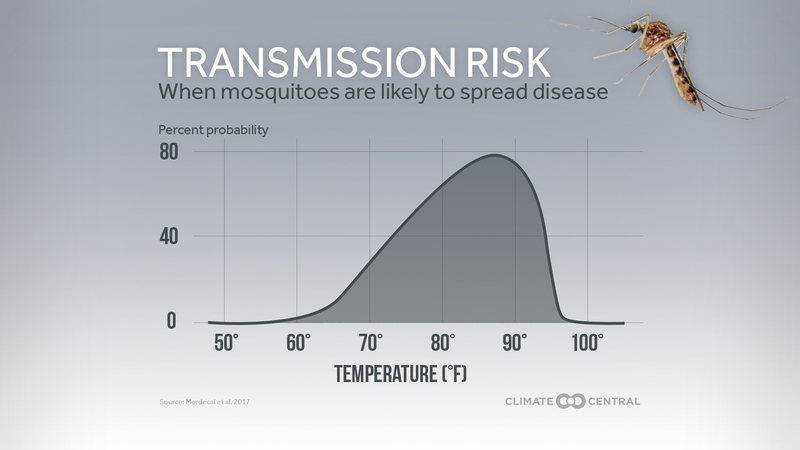 The temperature range of disease transmission (61°-93°F) as well as the range for peak transmission (79°F-84°F) were chosen based on the findings in Mordecai et al. 2017.